Not really in the mood to draw anything today. To tell you the truth, I’m emotionally exhausted today. And since I draw the same way I write, with feelings, I didn’t expect to have any good result from my emotionless quick strokes this afternoon. For the first time since Day 1, I’m beginning to seriously doubt if I will ever meet my target of one drawing a day for this #inktober. Sorry, Zen. I failed to capture your soul. It doesn’t even look like you. Sooo tired… You think I should keep on trying? 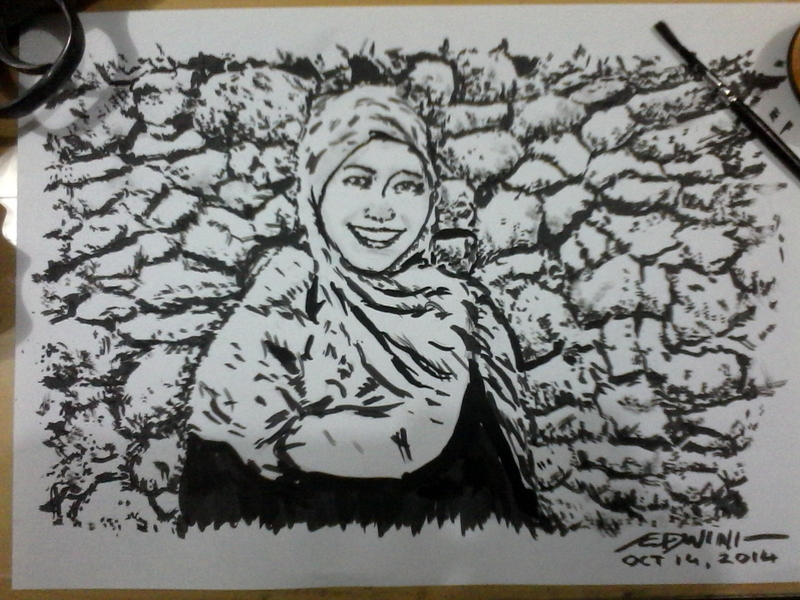 ~ by edwinlives4ever on October 14, 2014.
hehehe, i dont know her. Hey mbak Zen. Don’t worry, it’s bound to happen sooner or later to everybody.